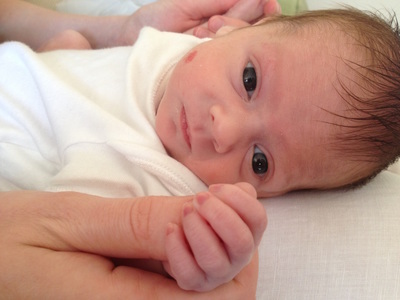 Our daughter Frances was born in May 2013 at 29+3 weeks gestation. She was born by emergency c-section after I had gone to the Lister concerned that I hadn’t felt the baby move all day. 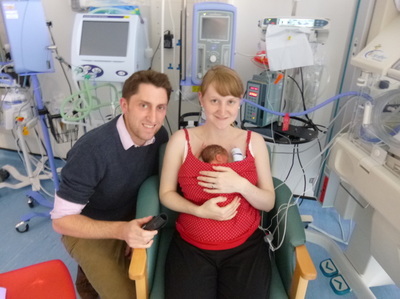 When the midwife put the heart monitor on, she saw that the baby’s heart rate was dropping, and got the consultant, who shocked me and my husband by saying the baby needed to be born straight away. Frances was born just 16 minutes later, at 10.16pm, weighing a good 3lb 2oz. Although I hadn’t been able to be awake for the delivery, my husband was allowed to see Frances shortly after and it was possible for me to be wheeled into the NICU in my bed at 3am, so that I could place my hand on my tiny baby 5 hours after she had been born. Just placing my hand on her stabilised her blood pressure - a mother’s touch is pretty special. I also got to hold Frances the next afternoon; I had a big smile on my face despite everything, as I had my baby! Frances spent 9 days in Intensive Care (only 36 hours on CPAP), 5 days in High Dependency, and 5 weeks in Special Care. While she was in Special Care Frances had an infection which made her quite poorly; it turned out she had two holes in her heart which were making things harder for her. The infection needed antibiotics, and she also had a blood transfusion and was put on oxygen. This set-back was the scariest time; it was so horrible to see her unwell. She also suffered with reflux and was put on two types of medication for it. Fortunately Frances recovered well from the infection and could come off oxygen, and suddenly, it seemed, it was time for us to ‘room in’, and then take our daughter home. Also a scary time, being responsible on our own for the 9 medications a day, as well as feeding which we were still getting the hang of. The NICU staff were fantastic, looking after Frances of course, but looking after us too. When we came home, our Outreach Nurse was brilliant; we would have been lost without her calming, sensible, yet light-hearted advice and support. Frances has just turned 2, and is a petite (now 21lbs) but strong-willed little girl! She didn’t crawl, but was walking on her own by 16 months, and her childminder assures me she is well ahead in her talking. 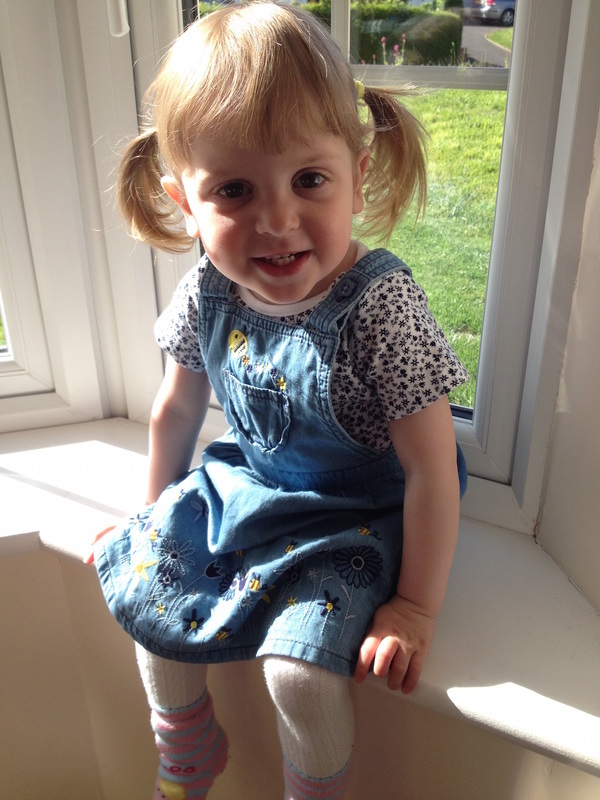 She came off her reflux medications soon after she was 1, and her consultant is pleased with her progress. We are just waiting for her developmental check at 2 years corrected and then hopefully she will be discharged. Although one of the holes in her heart has closed, the other is still there, so the cardiologist is going to see her again when she is 3 to decide whether she will need a small procedure to close it. Frances loves raisins, our cat, In the Night Garden, swimming, singing and books, and is fantastic company. But then I’m biased, of course! Frances is now 5-and-three-quarters, and in Year 1 at school. She started at the school nursery when she was 3 years 4 months, and seemed so small to be going to school, but she couldn’t wait! 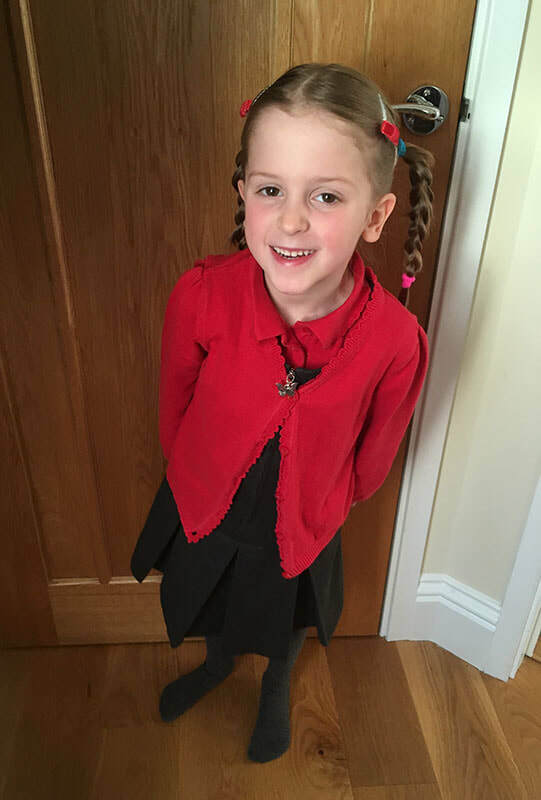 She’s had a great time ever since, learning to read and write, and joining in with sport, dance, yoga and forest school. We find she gets tired if she does too many extra things in addition to school, she started swimming lessons on a Saturday but found it overwhelming so we’ve stopped those for now. She still has a very small hole in her heart, but not significant enough to need closing at the moment – the Cardiologist is next reviewing her in 18 months’ time. Frances also loves being a big sister to her brother Alastair, who was born in December 2017. 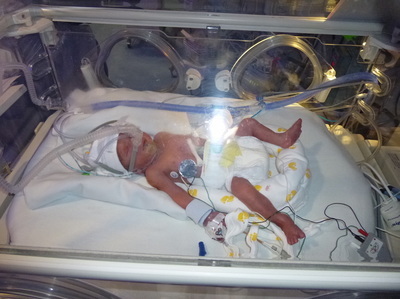 Alastair was a term baby, but did spend a night on Special Care due to breathing difficulties. It is very special to see them playing together; we feel very lucky.